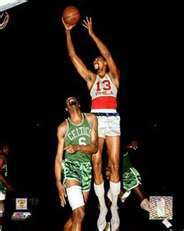 WILT CHAMBERLAIN THE GREATEST OF ALL TIME!!! 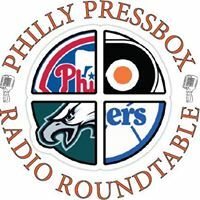 Tonight the 76ers will honor the greatest single accomplishment in professional basketball when they honor the 50th anniversary of Wilt Chamberlains 100 point game. They are also having the coolest giveaway that I’ve ever heard of for this game. For those of you that don’t know the history of this game it took place in Hershey PA on March 2, 1962. The Philadelphia Warriors beat the New York Knicks 169-147. The game was not on TV and was not video recorded anywhere. There is an audio recording of the game. 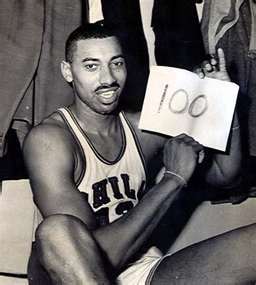 Wilt made 36 of 63 shots from the field and 28 of 32 from the foul line for exactly 100 points. The floor from that game was recently purchased by the 76ers who have had it cut in to 2”x2” sections which will be given to each fan that attends the game. I don’t know how they will package it but I’m sure there will be a letter of some sort to authenticate it when they hand it out. I think having an opportunity to own a real piece of history is a really cool thing. The remainder of the court will be cut in larger sections and given to the Chamberlain family, the Naismith Basketball Hall of Fame and several other places. It is great to be celebrating the 100 point game since it’s the 50th anniversary of the event. However this should also be a celebration of the greatest basketball player of all time. Some may argue for Bill Russell, Michael Jordan, Oscar Robertson, Kareem Abdul-Jabbar but they are wrong. There has never been and will never be another offensive player as dominate as “The Big Dipper”. Below you see his career statistics and they are mind boggling. Wilt averaged 22.9 rebounds per game, FOR HIS CAREER!!! Not one big season but for a career. His 1961-62 season is one for the ages. Wilt averaged 50.4 points per game and 25.7 rebounds per game. The Big Dipper presently holds 72 NBA records and hasn’t played in 39 years. A few of the many impressive records are as follows: Most games of 50 or more points in a season, 45 in 61-62 and 30 in 62-63. The next closest is Kobe Bryant with 10. Most games with 50 or more points in a career, Wilt has 118, Jordan is 2nd with 31. Most points in a season 4,029 in 61-62, 3586 in 62-63, 3rd on the list is Jordan with 3,041 in 86-87. It’s amazing that as great as Jordan was that in his best season he scored 988 less points than Wilt did in his best season. Of the top five rebounding seasons in history the first, second, third and fifth season belong to Wilt. A couple obscure records are that Wilt never fouled out of a game in his 1,045 game career and in 61-62 he averaged 48.5 minutes per game because he played every minute of every game plus every overtime minute. For those that didn’t get to see The Big Dipper play you may say that he was just bigger than everyone else and that’s just not true. Back in those days every team had a big, strong powerful and physical center unlike today when the game is much more guard oriented. The record books belong to Wilt. So today we celebrate Philadelphia native, Overbrook High School graduate, former Philadelphia Warrior and Philadelphia 76er the greatest basketball player in NBA history, Wilton Norman Chamberlain, The Big Dipper. Following is a summary of Wilts statisctics.